Agriculture is an integral part of the economy and heritage of Pennsylvania’s Americana Region. 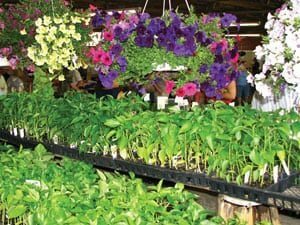 It helps to sustain many local businesses like farmers markets, wineries, even festivals. Stop at our local farmers markets like Renninger’s Antique & Farmers Market, Oley Valley Organics and Leesport Farmers Market, to sample and purchase fresh foods and area delicacies. Check out the wares of the flea market and antique vendors. Make a day of touring, tasting, and enjoying the wines of Setter Ridge Vineyards, Long Trout Winery, Clover Hill Vineyards, Ridgewood Winery, andFolino Estate Vineyard & Winery or check out the Berks County Wine Trail. Depending on the time of year include Kutztown Folk Festival, Oley Valley Community Fair, Chile Pepper Food Festival in your itinerary. 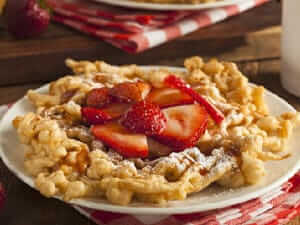 Our Pennsylvania Dutch or German heritage influences our food, culture, customs, even our way of speaking. Come learn about our fascinating traditions. Discover hex signs, a uniquely American art form and symbol of the PA Dutch. Follow our Hex Barn Art Tour and learn the meanings of the colorful designs dotting our countryside. The Pennsylvania German Cultural Heritage Center preserves and promotes our PA Dutch history. Schedule a visit to the center to catch a glimpse into the world of the PA Dutch. Related activities include the Kutztown Folk Festival, Bowers Pepper Festival, Roadside America and PA Dutch Gift Haus. Tour our region’s most haunted places with Charles J. Adams Ill, paranormal researcher, author of more than 35 books on ghosts and hauntings, and storyteller extraordinaire. Venture inside a haunted covered bridge, then follow the former towpath of the Union Canal to the site of an 1875 murder-suicide of three children and their mother. 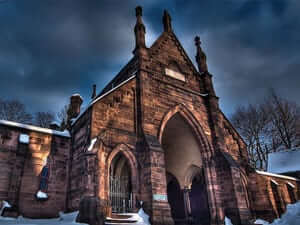 Afterwards, walk to an eerie graveyard to hear stories of its hauntings and search for unmarked graves with copper divining rods hand-crafted by your host. Centre Park Historic District Tour – approx. 2.5 hours Stroll through Charles Evans Cemetery, to see or sense the resident spirits. The tour of the city’s premier historic district will also include a visit to Stirling Guest Hotel, other ominous Victorian beauties, and the Berks History Center. Related activities include a lantern tour of Crystal Cave, or a tea luncheon at the stunning Stirling Guest Hotel. 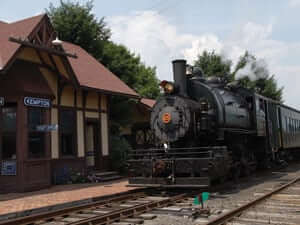 Visit the Pennsylvania’s Americana Region museums dedicated to trains, planes and automobiles. We love sharing our contributions to transportation. Buckle up and enjoy the ride! Visit the Mid Atlantic Air Museum, home of World War II Weekend, and learn of our region’s contribution to flight, as well as a general history of aviation. Tour the Gruber Wagon Works, maker of the farm-use wagons. The museum is one of the most complete examples of a rural manufactory of its kind in the nation. Located in a former auto body factory, Boyertown Museum of Historic Vehicles, houses and preserves vehicles manufactured in Pennsylvania like the Duryea. Ride the Colebroookdale Railroad and discover the treasures of Southeastern PA in a beautifully restored, Edwardian-era coaches. When in Reading, stop at the Reading Railroad Heritage Museum. Dedicated to preserving the history of our legendary railroad, the museum features locomotives, passenger cars, and other freight equipment. Related activities include World War II Weekend, and Diner Days at Boyertown Museum of Historic Vehicles. The traditions, events, and attractions of Pennsylvania’s Americana Region are sure to put you in the holiday spirit. • Now celebrating its 70th anniversary, Koziar’s Christmas Village comes to life each year with lights, animated displays, and holiday gift shops. • Stroll through the illuminated displays and decorations at Holiday Lights at Gring’s Mill. Afterwards, warm up in the barn as you enjoy lively entertainment. • “A Pennsylvania Dutch Christmas Carol on the Trolley” by Fecho Entertainment is the PA German version of the Dickens’ holiday classic. Ride the trolley or have the characters board your bus to entertain your group. Related activities include holiday tea at the Stirling Guest Hotel, PA German Cultural Heritage Center’s Christmas on the Farm, a visit to the Reading Liederkranz Christkindlmarkt, or a holiday excursion on the Colebrookdale Railroad. Greater Reading is home to over thirty museums, historic sites and the Goggleworks Center for the Arts. Our antiques shops are considered some of the best places to shop for collectibles. Attend Renninger’s Antique and Collector’s Extravaganza, held every April, June, and September on the last full Thursday, Friday & Saturday of the month. GoggleWorks Center for the Arts is the largest integrated art center in America. 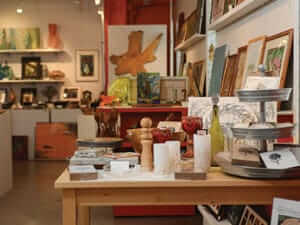 Tour the galleries, visit the artist studios, and watch a hot glass demonstration. Include a show at the Miller Center for the Arts, which offers an array of disciplines including dance, music, and theatre. Explore the treasures of Reading Public Museum, Reading Area Fire Firefigher’s Museum and Berks History Center to learn about the fascinating history of our region and beyond. Related activities include the semi-annual Berks Guild of Craftsmen Craft Shows, Boscov’s Berks Jazz Fest, and performances by area theatre groups. 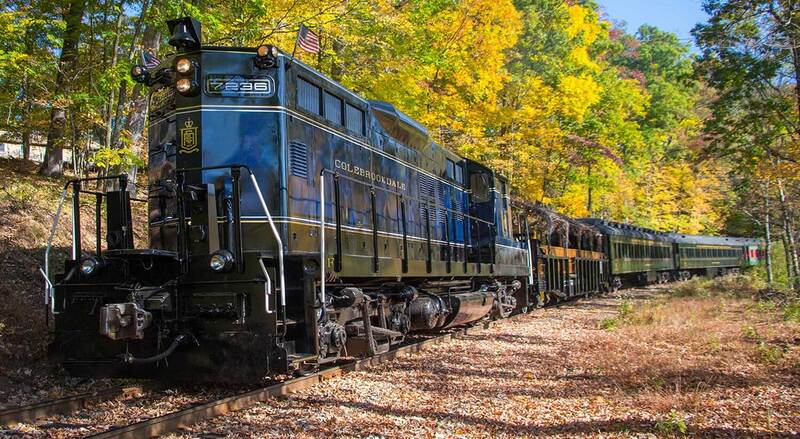 • Enjoy an excursion on the Colebrookdale Railroad and discover the treasures of Southeastern PA in beautifully restored, Edwardian-era coaches. Seasonal themes are offered throughout the year. • The Carousel at Pottstown is sure to put a smile on the faces of all who visit. Built in 1905, the carousel and its menagerie of hand-carved animals have been brought back to life! • Located in a former auto body factory, Boyertown Museum of Historic Vehicles houses and preserves vehicles manufactured in Pennsylvania, like the Duryea. Related activities include trips to Reading Area Fire Fighter’s Museum, Reading Railroad Heritage Museum, Allentown and Auburn Railroad and WK&S Railroad.